Has Rock Star Adam Levine Undergone a Hair Transplant? 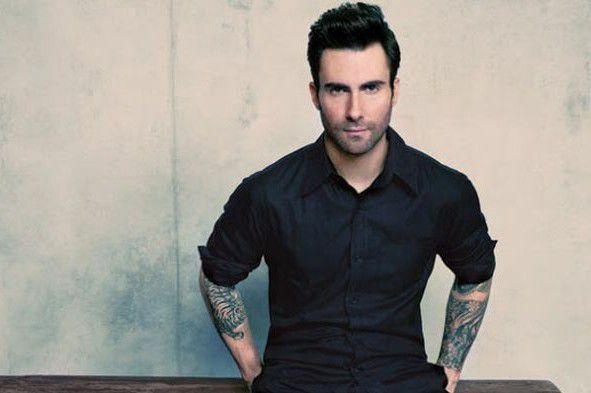 Adam Levine, the 35-year-old American singer and actor, is nowadays being scrutinized for Hair Transplant surgery. Both critics and fans of Levine are scouring internet and social media to find his latest pictures to confirm that he has really gone under the knife to restore his receding hairline or not. Not too long ago, the dashing singer was being discussed on forums for visible signs of hair loss, with many fearing that the heartthrob musician will soon go bald. If you look at Levine’s pictures taken a few years ago, you will notice a clear recession in his hair at the frontal part of his scalp. Though this kind of uneven hairline is quite common and people generally don’t take care of it, but celebrities can’t afford such sparse spots, and same was the case with Levine. He responded promptly to these initial signs of baldness. If you look at Levine’s pictures taken last year, you will see that not only the sparse spot has been covered but his hairline also appears to be thicker and fuller. Has Levine really undergone hair transplant surgery? But the million dollar questions is, is it enough evidence to suspect the stylish musician has undergone Hair Transplant surgery. Many defend the Los Angeles born Rock Star saying that he might have camouflaged his sparse spot by wearing a hairpiece or toupee. Well covering the bald areas with a filling agent like a wing or a toupee is not at all out of the realm of possibility, but that is just a temporary solution, that celebs with receded hairline use occasionally, at some red carpet event or promotional campaign. But Levine has been found with the same hair density even when he keeps his hair short, which has certainly been not possible in case of a hairpiece or wig. Hair Transplant is probably the most effective and the most popular way of re-growing your very own natural hair after once losing them. In the surgery, a Hair Transplant surgeon removes hair follicles from one part of the scalp, with thicker and denser hair, and transplants them to the areas showing signs of baldness or hair thinning. Where to get Hair Transplant in UAE? If you are planning to undergo the surgery somewhere in the United Arab Emirates (UAE), contact Hair Transplant Dubai Clinic now and regain the lost hair. We also offer free online consultations. Just spare a minute out of your busy routine to fill the form below and take your first step towards a full head of hair.